Founded in 2009, the Olympia Pub Crawl is a walking tour of the pubs, bars, and restaurants in downtown Olympia. Participants include a wide variety of people, all who want to support local businesses and an important cause while having fun doing it! Each year the Olympia Pub Crawl fundraises for a local charity focused on children and families in need. Proceeds from this year's event will benefit the Seattle Children's Hospital, for childhood cancer research and family support through the Olympia Cares Guild. 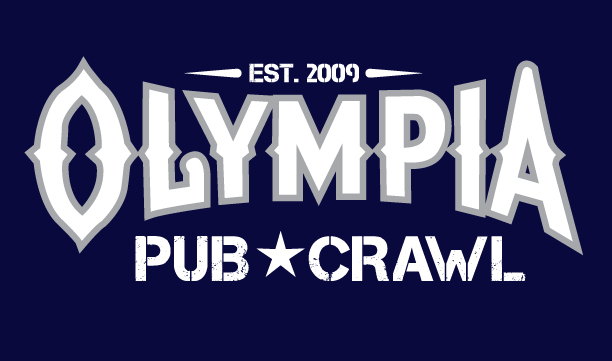 The Olympia Pub Crawl Begins with a Kickoff Party starting at 2pm at The Society, 120 4th Ave E, Olympia, WA 98501. T-shirts & Tanks subject to availability if registering after 7/20. ONLINE REGISTRATION ENDS AUGUST 9TH (midnight).